Bri Gaal's Blog: I Got Something New, Too! I Got Something New, Too! I know several people that either just got a new bike, will be getting a new bike, or are getting a new bike built. 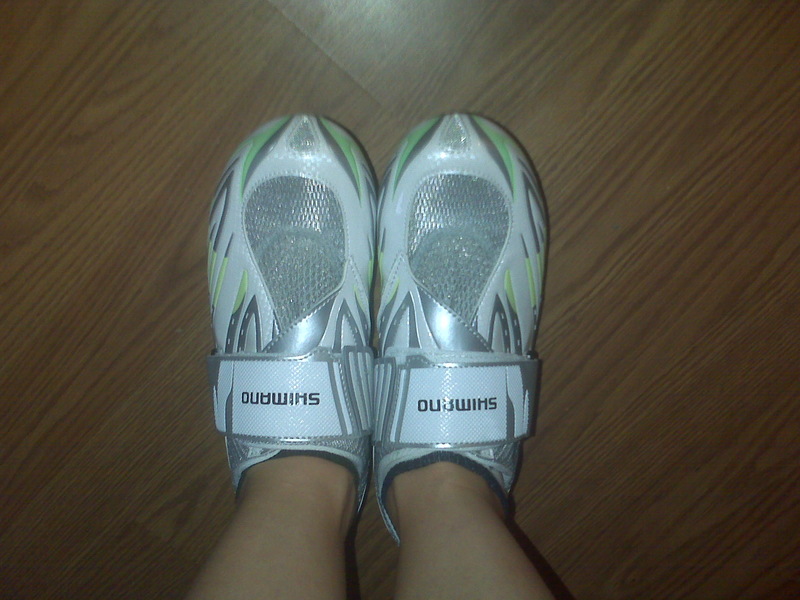 Oh yeah, well, I got NEW BIKE SHOES. So put that in your pipe and smoke it! You're so funny...I need to get some of those, my toes are starting to hurt. Why do my feet hate me? Florida - here I come!